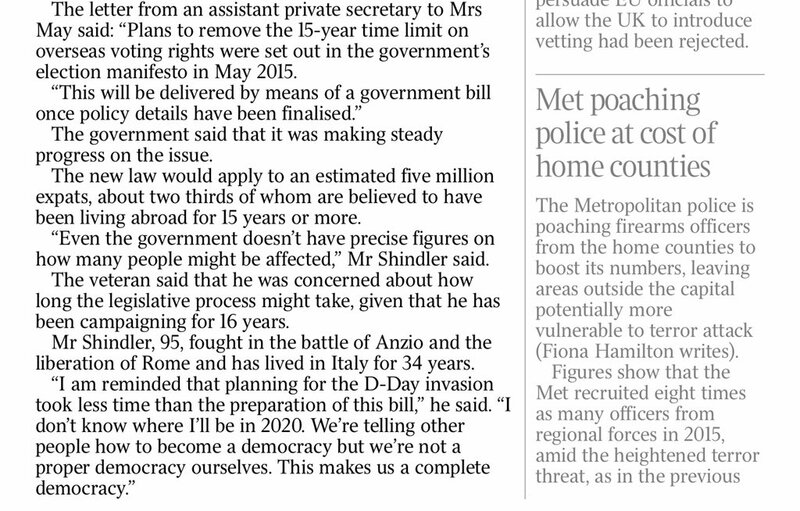 Note: The article is a bit out of date with its figure of 20,000 for the actual number of expats registered to vote, when over 113,000 were registered for the 2015 general election and considerably more (final figures awaited from the Electoral Commission) for the EU Referendum in June of this year. 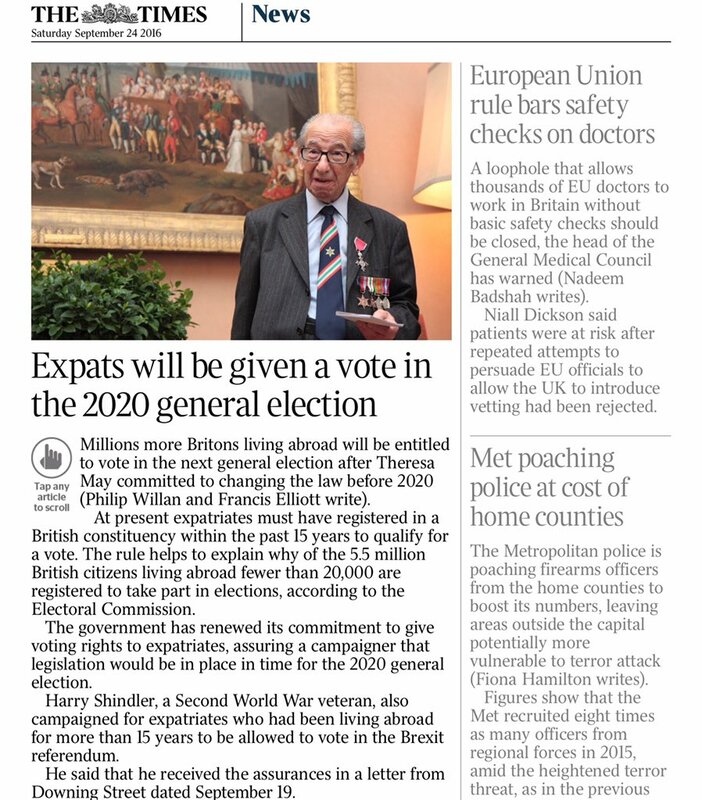 This entry was posted in Expats Right to Vote in 2020, Harry Shindler Presses PM., Harry Shindler vs UK, LibDems Call for Expat Vote, Manifesto 2015 Commitment, Voting Rights and tagged 15-year-rule, 2020 General Election, British expatriates, Conservative Party, Harry Shindler, voter registration. Bookmark the permalink.